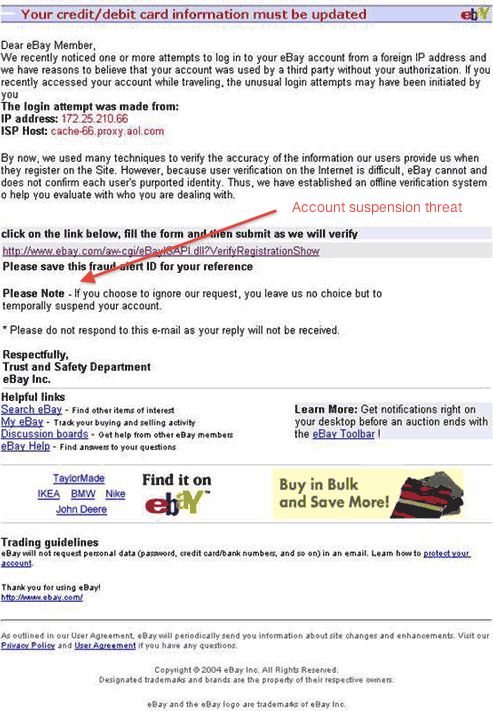 We receive a number of questions from our customers about various suspicious emails. To help protect your identity and understand how you can avoid being a victim of various forms of identity theft, we’re providing the following common Questions and Answers. Q: How do I protect my accounts? A: Phishing, and other email scams, are primarily meant to trick an email customer into providing their account credentials (username and password) to a criminal. Examples we’ve seen include those claiming to be from Bway.net, UPS, the Postal Service, FedEx, banks, credit card companies, social media (Twitter, Facebook), and payroll companies. What they all have in common is the request, either in the email itself or a linked website, for your account information. Q: Why do criminals want this information? Why is my email account valuable to them? Your email account is often used for validation of other services. For example, if you need to reset your bank account password, your bank will send a verification email to the email address they have on file for you. A criminal in control of your email account can then receive the password reset request and gain access to your bank account. Hijacked email accounts are often used to send out spam since the stolen account is “clean” and will pass through many spam filters. 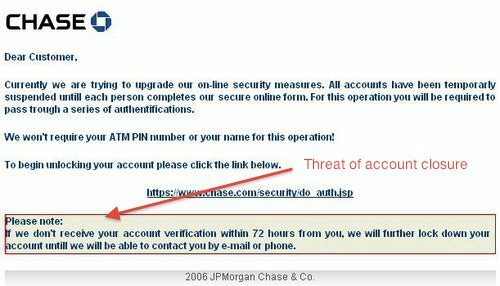 A hijacked email account can in turn be used to “phish” people that you normally correspond with. Your friends will assume the email is from you and provide any requested information or click on links that may contain malware or viruses. Q: I responded to one of these emails, what should I do? A: Change your password immediately and monitor your account. If you have any questions on how to change your password, call us and we can walk you through the process. Q: What are other common threats? A: Files sent via email from people you don’t know. 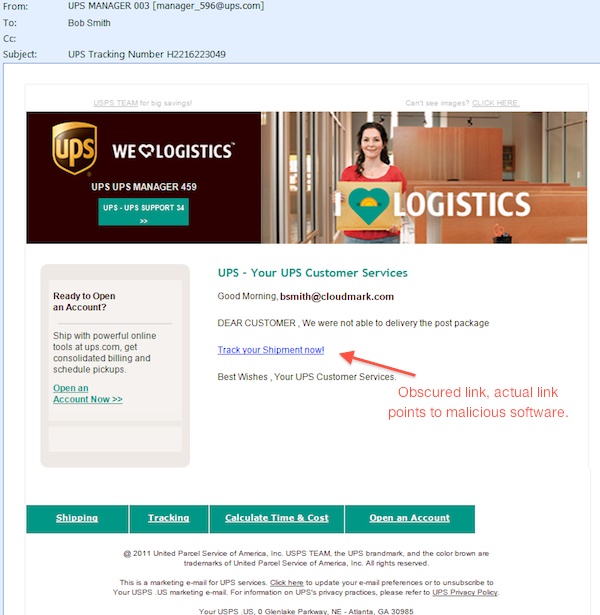 It is becoming very common to combine some of the “phishing” type content with an attached file. The message may promise to have an attached voicemail, fax, or some type of form you need to fill out to “prevent account termination”. Do not open any attached files from people you do not know. Even if you do know them, confirming via phone is helpful, as email addresses are very easy to spoof. Don’t rely completely on virus scanners, they often miss very damaging files. The site Virus Total offers a good tool to check a file against multiple virus scanners. 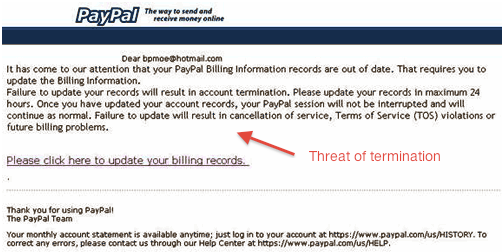 Below are some examples of phishing scams. Some look legitimate, some have tell-tale signs of fraud. from a foreign IP Address 130.60.57.144 1500H. login access till further notice. fast on this important notification before the investigation is concluded. 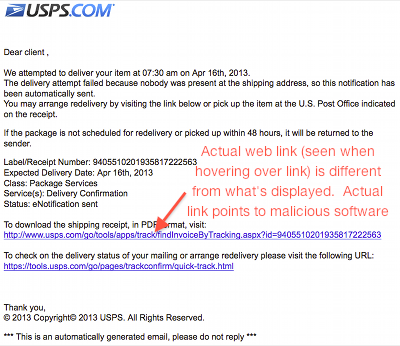 Email Scam (Mar 13, 2014): "IT HelpDesk"